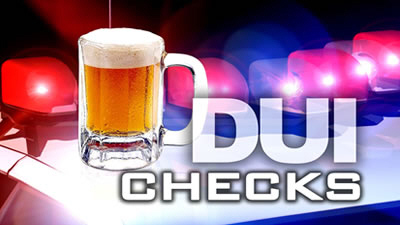 SANTA ANA, California – (August 19, 2013) – The Summer/Labor Day National Anti-DUI crackdown has resulted in a significant number of DUI arrests from routine traffic enforcement and special “Avoid the 38” Task Force DUI deployments. During the enforcement period of Friday, August 16, 2013 at 12:01 a.m. through Sunday August 18, 2013 at 11:59 a.m., officers representing 38 county law enforcement agencies have arrested 149 individuals for driving under the influence of alcohol or drugs. No DUI fatalities were reported. In 2012, 153 DUI arrests occurred during the same three (3) day time period. Over the course of the enforcement period that ends September 2nd, checkpoints, saturation patrols and warrant events will continue to be conducted throughout Orange County. All regularly scheduled traffic and patrol officers will focus efforts at stopping and arresting DUI drivers during their normal shifts. Orange County Police Departments, the Sheriff’s Department and the California Highway Patrol (CHP) encourage all motorists to help make your community safer: Report Drunk Drivers – Call 911. Funding for this program is provided by a grant from the California Office of Traffic Safety, through the National Highway Traffic Safety Administration (NHTSA). DUI arrest data collection will continue through Labor Day, Monday, September 2, 2013 at 11:59 p.m. “Avoid programs” named for the number of police agencies in each county, Sobriety/Driver’s License Checkpoints, multi-agency DUI Task Force operations and local roving DUI patrols are set region-wide during the 18-day Summer/Labor Day Campaign.